Vinay Ahuja, DFDL Partner and Head of Regional Banking & Finance Practice, paneled a workshop organized by the International Finance Corporation (IFC) in the Lao PDR on 20 November 2018. 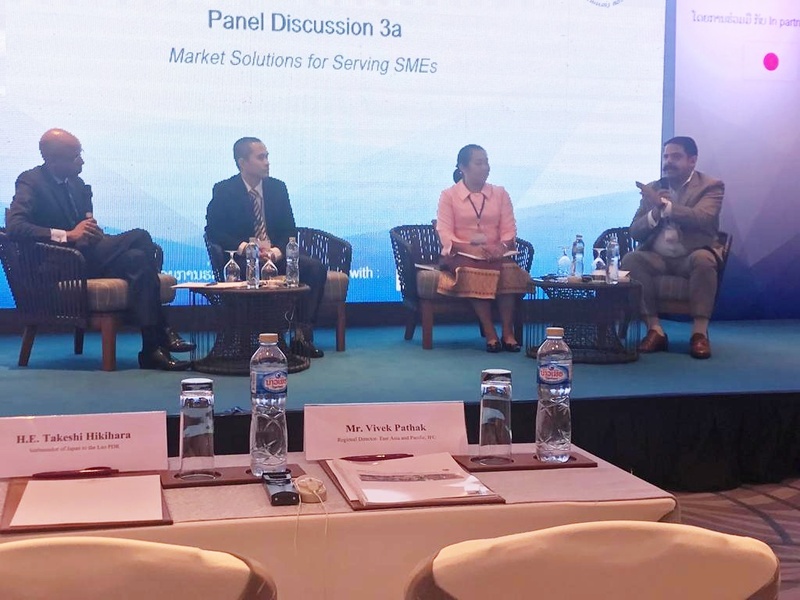 The event focused on Digital Financial Services and Small to Medium Enterprises (SMEs) in the Lao PDR, local currency solutions and the role of capital markets. This event brought stakeholders and regulators together with the intention of providing practical guidance and advice on constraints faced by SMEs in the country. The workshop was an interesting and insightful experience for all attendees and gave a welcome boost to the local Lao-based SME community.